The West African state of Mali is internationally famous both for its music festivals, and performers. But Malian music and tourism are in crisis following the Islamist attack on the Radisson Blu hotel in the capital Bamako in November 2015. Several countries, including Britain, the US and Australia have warned against travel to Mali. With tourists staying away, festivals have been cancelled or cut back, and musicians have suffered. But foreign enthusiasts for Malian music, including Blur’s Damon Albarn, have ignored the travel warnings to perform in Bamako. 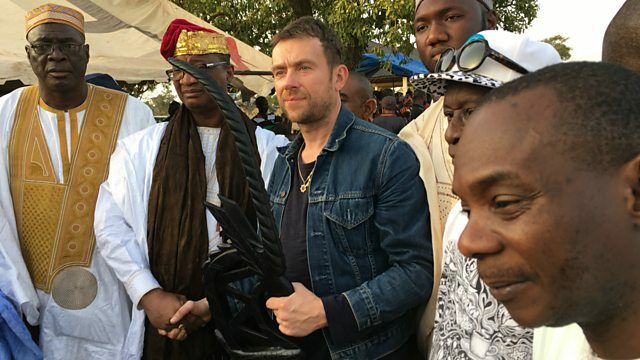 Robin Denselow reports for BBC Radio 4's The World Tonight as Damon Albarn is honoured by the community.